pudding | I Am Not A Restaurant! So this seemed like a good idea and the non-baker's way to offer up super fast dessert. 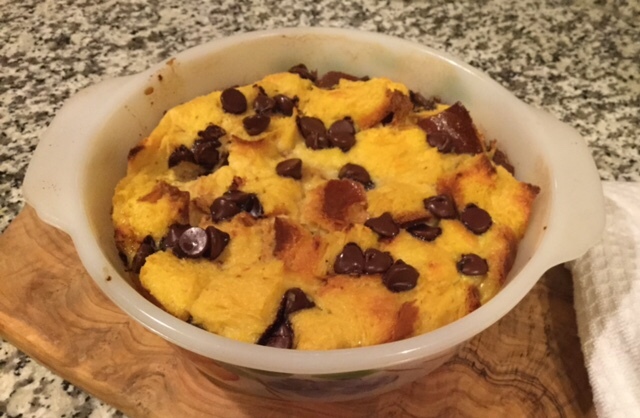 Adding chocolate chips makes bread pudding Valentine's Day friendly too! More to the point, I scored some major household points. As this was a first timer for me, I admit I may make adjustments. That said, baking eggs and milk is science, just not the rocket kind. It's forgiving. Rub butter all over baking dish and up the sides. Mix milk, eggs, sugar, vanilla and salt. Toss that mixture with the bread. Let it soak a few. Pour half into baking dish, sprinkle generously with chips. Pour in the rest. More chips! Bake 50 min – 1 hour until the middle shows no sign of liquid when pressed. 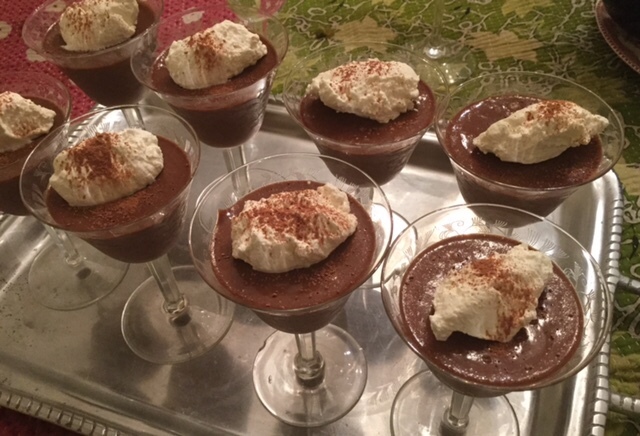 I'm not advocating for weeknight dessert after reading the latest in the NYT's from noted food and health doctor Robert Lustig regarding sugar consumption. 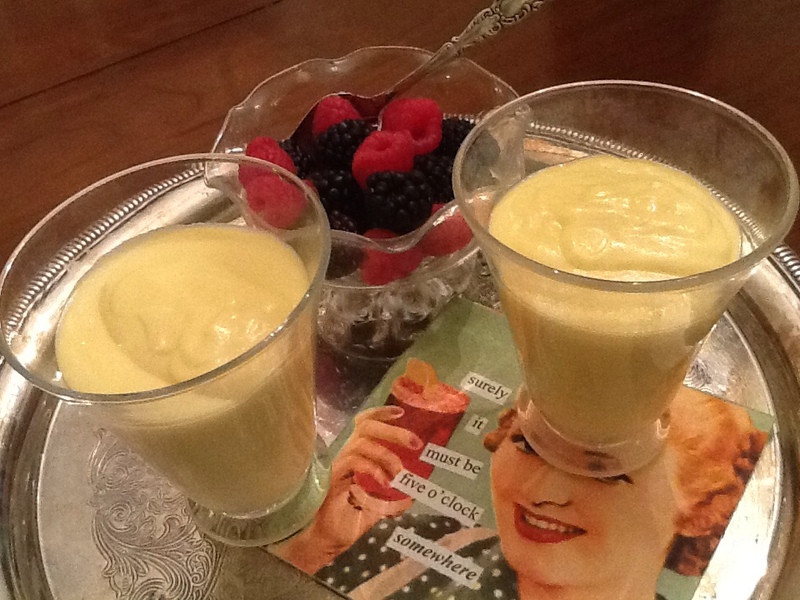 BUT as a treat, this “Best-Ever Vanilla Pudding” from Better Homes and Gardens works just fine. Hands down it eclipses powdered pudding! A couple of notes, the first step can take a bit, at least 15 minutes by my watch. But don't rush milk that's thickening, or adding eggs to hot liquid. You'd regret it. Also the only true way to have completely lump free pudding would be to strain it. I didn't and it was fine, but a table topic nonetheless (ingrates :). I may try the recipe again with 1/4 cup less of sugar. It's a little sweet and I suspect it would come together anyway. And think about a dash of cinnamon – couldn't hurt and supposedly great for cardiovascular health. So that's something. In medium saucepan combine sugar and cornstarch. Add dairy and stir over medium heat until thickened and bubbly. Cook and stir 2 more minutes. Remove from heat. Gradually add 1 cup hot liquid to egg yolks while stirring, then whisk egg mixture into pot. Bring to gentle boil and reduce heat. Cook 2 more minutes. Take off heat, adding butter, vanilla and salt. Pour into 6 bowls, let stand 45 minutes, serve or chill. Whip cream and/or berries optional. Or think about mini chips in that bad boy!